We were delighted to hear that our school garden won the Schools category of Warwick in Bloom. Huge thanks are due to Mrs Lambert, who has run gardening club with the children and grown some fantastic vegetables and herbs, which really gained in size over the summer. Well done to our fantastic gardeners! 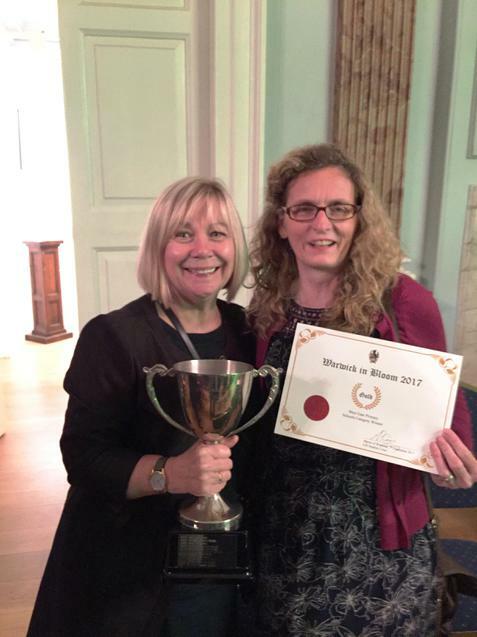 Mrs Lambert and Mrs Daniels attended the Awards Evening and collected a beautiful trophy and a certificate for the school. Brilliant!